There is no shortage of pharmaceuticals that attempt to relieve constipation. In so doing, the symptom rather than the cause is being addressed. This article will focus on natural constipation relief strategies that are successful, safe, and non-toxic. Be aware that upwards of 4 million adults in the United States admit to suffering from frequent constipation. A high-fiber diet may greatly relieve constipation. Experts agree that the necessary daily fiber intake is 25 to 35 grams for those with constipation-prone irritable bowel. Fiber is recommended because of its water-attracting qualities that can retain water in the stool, making it softer and easier to eliminate. Fiber speeds up the rate stools move through the large bowel or colon. This works in conjunction with the constipation sufferer drinking at least 64 ounces of water per day. Dehydration is a major cause of constipation. It is also recommended that one eliminate or severely restrict the intake of coffee, tea, and carbonated soft drinks. There are two main types of fiber-soluble and insoluble. Soluble fiber has a cholesterol-lowering effect on the body. Also, this type of fiber helps those with diabetes control their blood sugar. Even though fiber often relieves constipation, not every high-fiber diet works successfully. Some foods actually contain gas-producing fibers that can create more discomfort from gas than discomfort caused by constipation, so caution is in order. Fiber is found in whole grain products, fruits, vegetables, and meat alternatives such as nuts, dried peas and beans. The insoluble fiber found in whole grain wheat products is the most effective in helping to regulate bowel movements. Good sources include whole wheat bread, whole wheat crackers, wheat bran muffins, and breakfast cereals containing wheat bran. The insoluble fiber found in whole wheat products is preferable in creating a high-fiber diet. Constipation and Gas often go together and both can make life miserable. Here is a list of foods which tend to be gas-forming that one should consider eliminating or limiting until they notice improvement. This list includes but is not limited to all raw vegetables, including salads, cooked vegetables such as broccoli, Brussels sprouts, cabbage, cauliflower, corn, cucumbers, dried beans and peas, including black-eyed peas, kidney beans, lentils, fruits such as unpeeled apples, avocados cantaloupe, beer, hard-boiled eggs, nuts, popcorn, seeds, soft drinks, and wheat germ. Some foods which may prove to be less gassy and/or cause little or no constipation include but are not limited to cooked vegetables such as asparagus, beets, carrots, green beans, green peas, mushrooms, squash, sweet potatoes, yellow beans, zucchini, fruits such as peeled apples, soft, ripe bananas, grapefruit, kiwis, ripe nectarines, oranges, ripe peaches, and ripe pears. Exercising regularly, say three or four times per week, can have a dramatic effect on constipation and your overall digestive health. Exercise helps to increase your metabolism which, in turn, helps to regulate and normalize digestion function. Probiotics can play a key role in natural constipation relief. Probiotics are, in essence, good bacteria. A more technical definition of probiotics is live microorganisms that provide healthy benefits when ingested by the host. In recent studies, probiotics were found to reduce constipation severity in the form of increased bowel movement. Probiotics help to balance the intestinal flora in the gut which is essential to healthy digestive function. Probiotics are also helpful in combating irritable bowel syndrome which often leads to chronic and/or severe constipation. Squatting is the natural position best for elimination of the stool. You may want to consider placing a stool to elevate your knees during the defecation process. You can purchase an especially-designed stool to place in your bathroom as a natural aide in the elimination process. Supplements such as magnesium and aloe vera have proven to be useful tools in combating constipation. Both aloe vera and magnesium come in capsule and liquid form. The liquid form may be easier to absorb and thus prove to be more beneficial in relieving chronic constipation. Significant research exists that negative emotions are stored in the colon and are a major cause of constipation, irritable bowel syndrome, and other digestive disorders. Stress takes many forms, but it has been proven that stress affects normal gut functioning. Muscle tension can alter the normal rhythms of the bowel, leading to constipation. If constipation is caused or partially caused by a tightening of the body or an inability to deal with stress, then constipation could well be the end result. Many doctors now believe that patients with chronic constipation are much more likely to suffer higher rates of depression and anxiety. Two holistic modalities that might help are Emotional Freedom Technique and BodyTalk. Both of these are eclectic modalities that may involve tapping techniques, affirmations, and acupressure, a modality similar to acupuncture without the needles. During an Emotional Freedom Technique session, you would tap on certain neurological points while saying a specific affirmation such as “Even though I suffer from constipation, I now choose to have easy and frequent bowel movements.” You would tap on certain neurological points while repeating the desired affirmation three times. You would then simply say constipation while continuing to tap on certain neurological points. Body Talk uses similar tapping technology but is a far more-involved process. 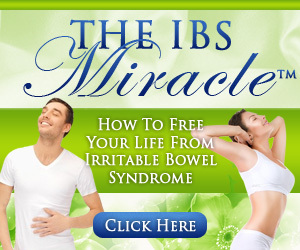 Both techniques have proven successful in eradicating or improving constipation, irritable bowel, and other digestive disorders in sufferers who found no relief elsewhere, particularly where negative emotions were a root cause. You can learn more about natural constipation relief [http://www.gentlecolonics.com], gas, flatulence, irritable bowel and other digestive disorders.